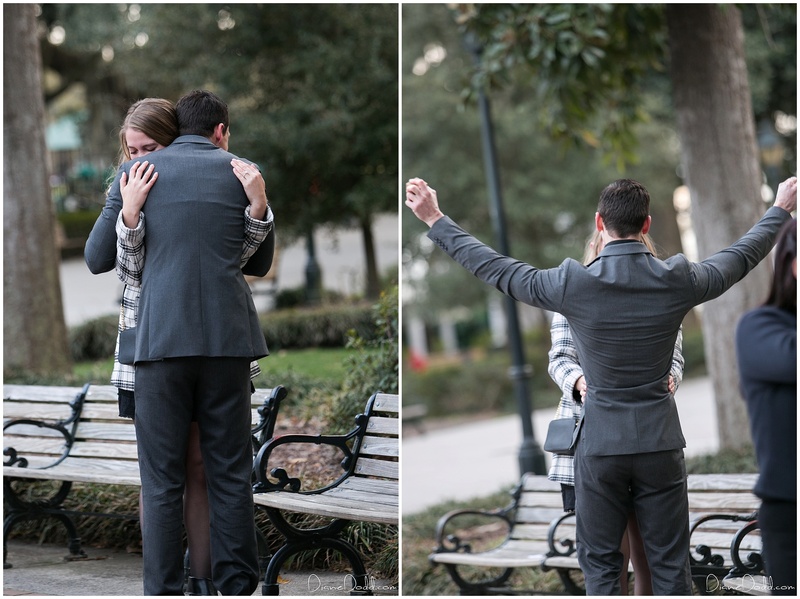 Charles contacted me several weeks before his planned trip to Savannah to pop the question to his girlfriend Cherie. They would be staying at the Eliza Thompson House, an amazing award-winning Historic Inn. 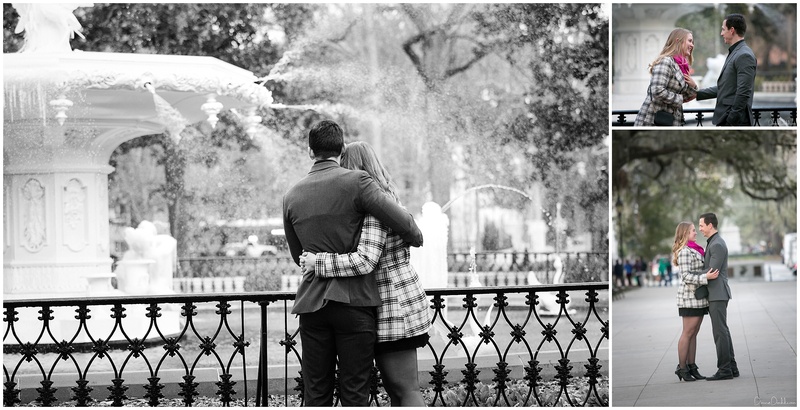 Little did he know that the evening he picked would be one of our coldest of the year- so cold that the famous Forsyth Park fountain would still be covered in ice from earlier in the day! It sure did make for a beautiful backdrop though. 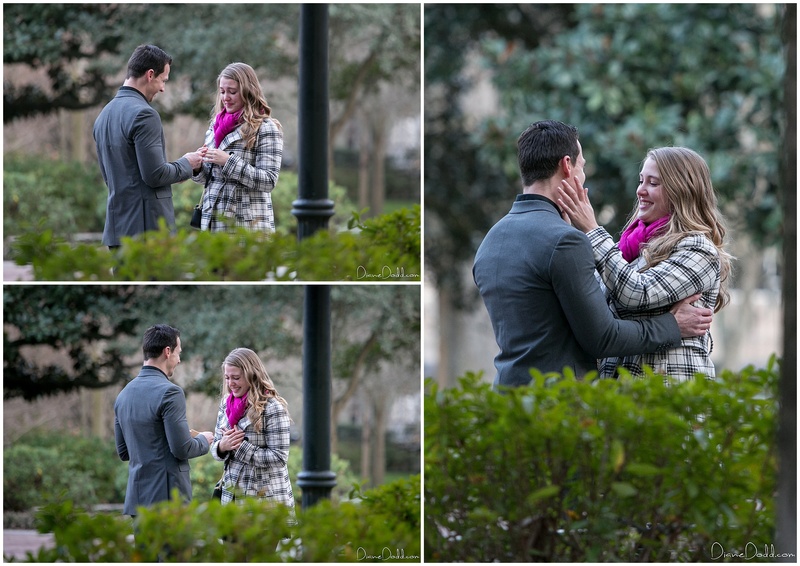 Everything came together beautifully and of course she said yes! As you can see, even a few tourists had to walk over to congratulate them and share in their excitement! 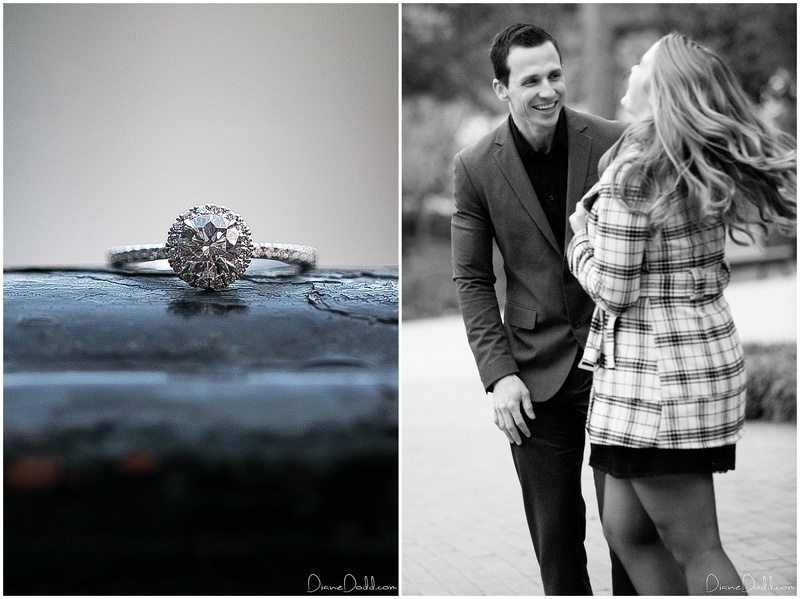 After the proposal, Charles had a romantic dinner planned followed by a horse drawn carriage ride from Madison Tour Company. Congratulations to Charles and Cherie!